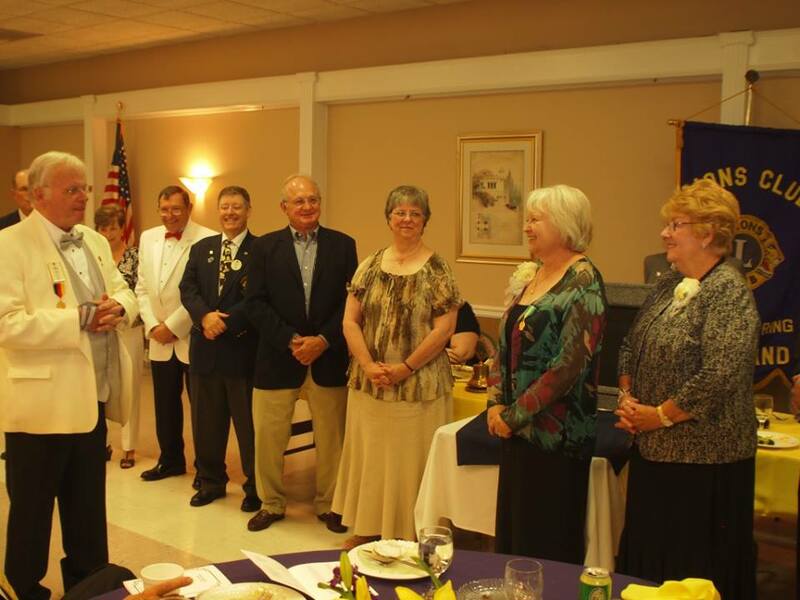 Celebrating 67 years of service to the greater Sandy Spring Community, the Sandy Spring Lions Club recently installed their new officers for 2013-2014 at their annual Charter Night Celebration held at the Maryland Room at Leisure World. The installing officials were Past District Governors Meredith “Brother” Pattie and Bill Thomas from the Sandy Spring Club. Also installed were Directors Brenda Finkel, Luana Beeson, Robb Newman, and Warren Derrick; Membership Chair Raye Litten, and as club Special Advisors, Past District Governors Brother Pattie, Bill Thomas and Don Beeson. The Immediate Past President is Greg Fuller. Lion Bill Lavely served as master of ceremonies for the evening. 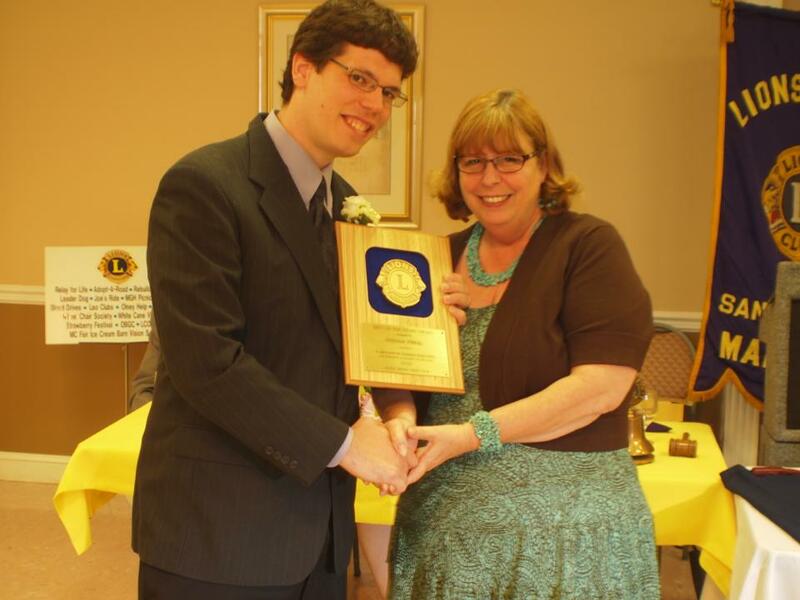 Outgoing King Lion Greg Fuller presented special awards and tributes to club members including the highest honor given by Lions International – The Melvin Jones Fellow Award. This year’s Melvin Jones was posthumously awarded to Lion Vernon Leon. Lion of the Year was Joe Connor, and Lion Brenda Finkel was named Lion of the Years. Lion Julie Thomas is the third female Lion to hold the position of president of the Sandy Spring club. This entry was posted in board of directors, social. Bookmark the permalink.